When renting a car there are a little of secret tips that can help you save money, cash, and time. Here are six of the best and in MEME form to help you remember them! 1. When renting a car online reserve a compact at the last minute. They likely won’t have a compact handy and will give you a free upgrade. 2. Buy the insurance! 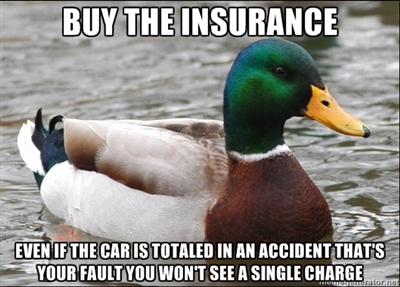 Even if the car is totaled in an accident that’s your fault you won’t see a single charge. 3. 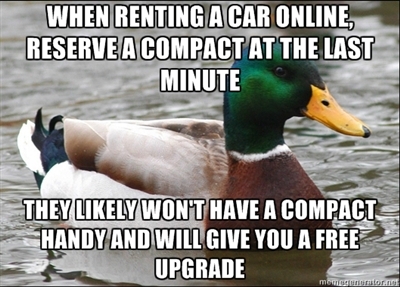 Rent from locations at car dealerships. 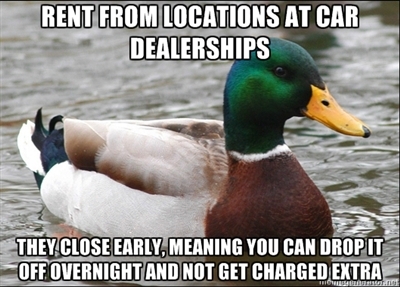 They close early, meaning you can drop it off overnight and not get charged extra. 4. Ignore the no smoking stickers. 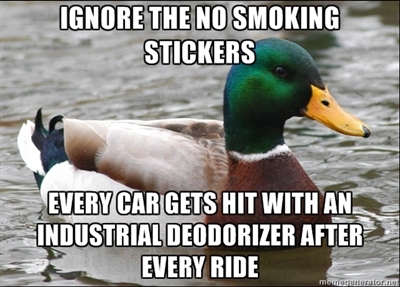 Every car gets hit with an industrial deodorizer after every ride. 5. 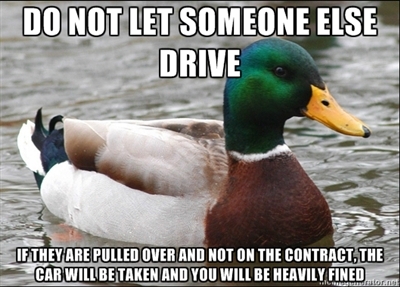 Do not let someone else drive. If they are pulled over and not on the contract. The car will be taken and you will be heavily fined. 6. 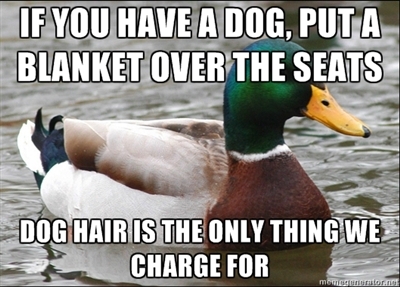 If you have a dog put a blanket over the seats.Dog hair is the only thing we charge for. 7. 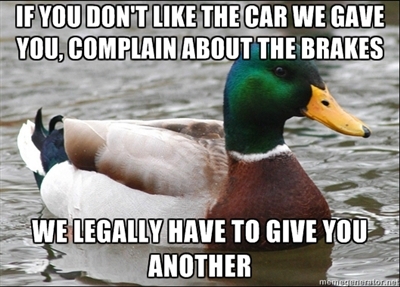 If you don’t like the car they give you, complain about the brakes, they legally have to give you another.